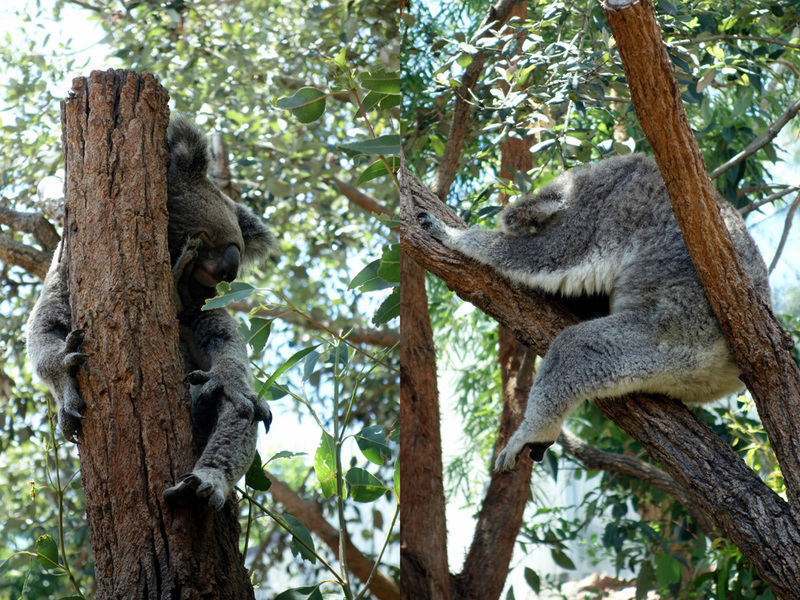 Another thing to do when you visit Darling Harbour with your kids is to visit the Wildlife Sydney Zoo. 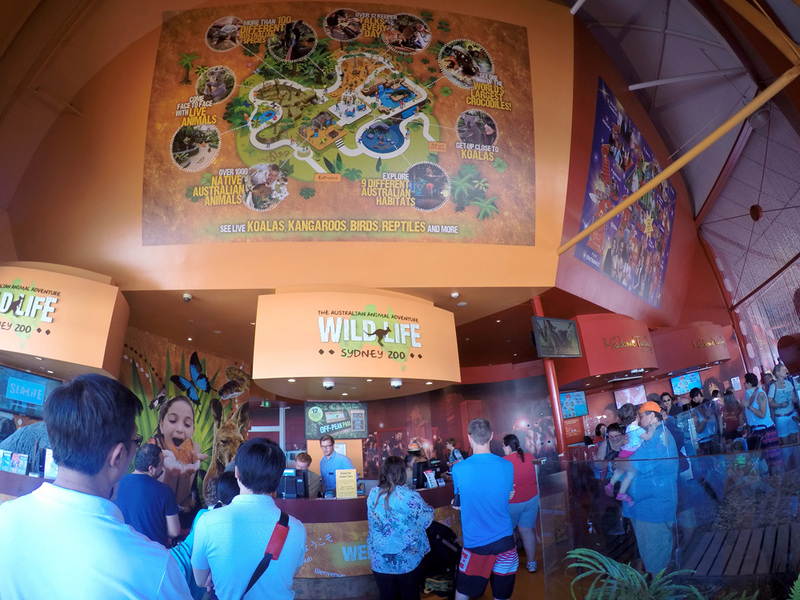 It is located next to Madame Tussaud Sydney and also a few meters away from SEA Life Sydney Aquarium. 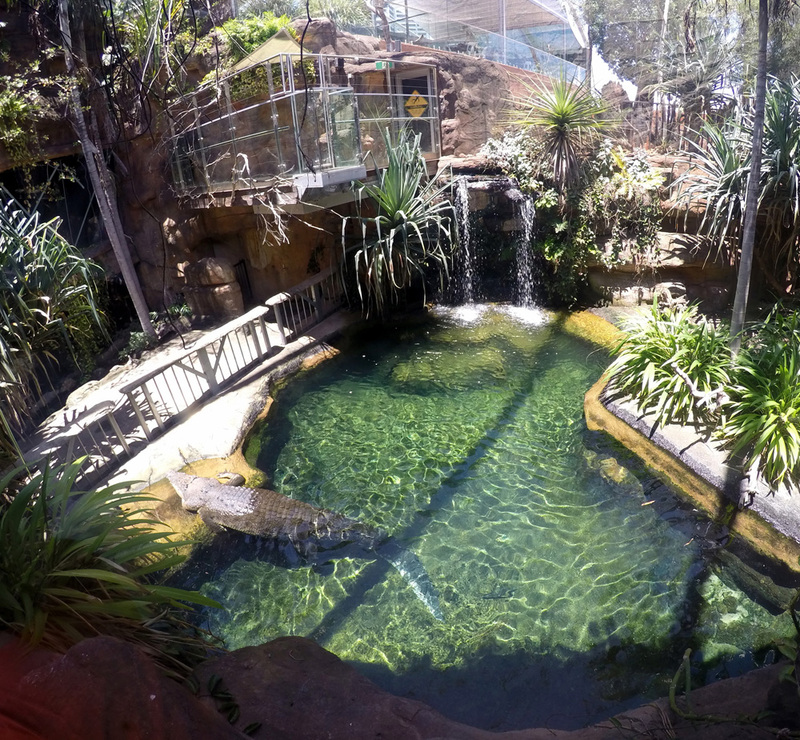 We visited Wildlife Sydney Zoo before started our roadtrip to Newcastle. It was a perfect timing as the weather was really hot. 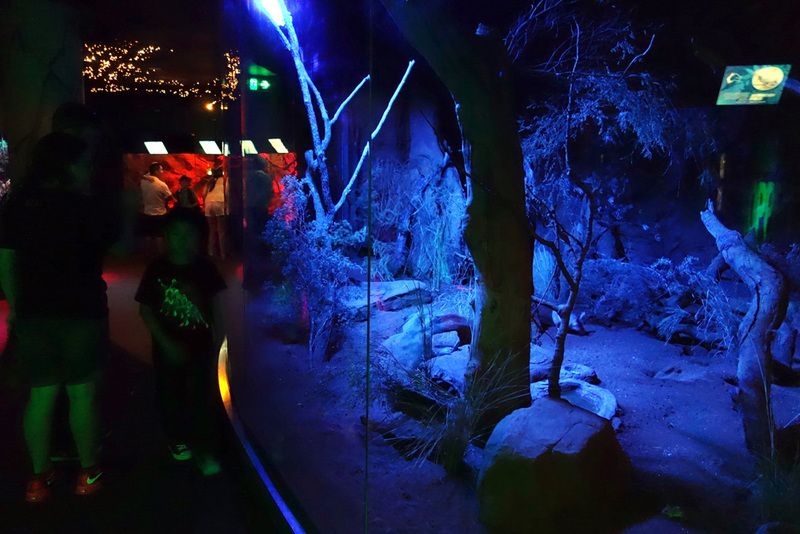 We didn't have to worry about the weather because it's an indoor zoo. Yup as stated in their website: Sydney's Most Unique All Weather Attraction. We arrived around 11 am and the place was really crowded. The longest queue belongs to SEA Life Sydney Aquarium, the zoo's queue at the ticket counter was not that long, but still we had to queue for about 20 minutes before getting our complimentary tickets. The Wildlife Sydney Zoo's area was not big, so we just walked and follow the signs. 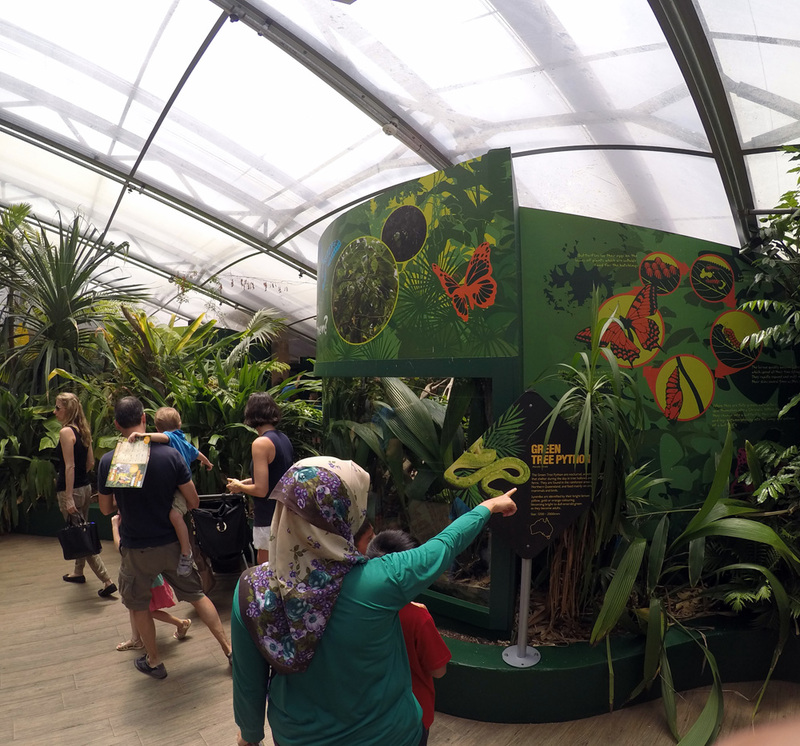 The first area we visited was the Butterfly Tropics. We could see not only butterfly in this area, but also green tree python and turtle. "Aaah look there's the python!" 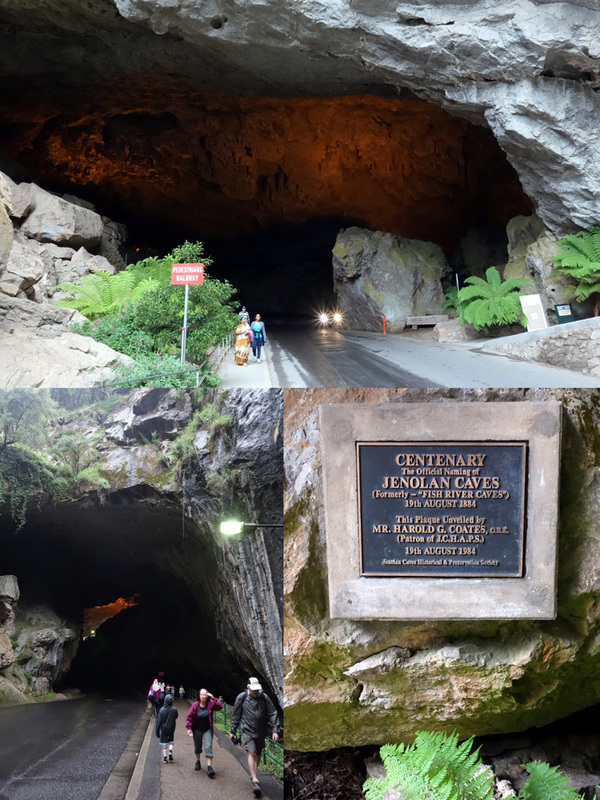 Finally we could see the real Tasmanian Devil (for the first time ever) at the Devil's Den. It is home to two female Tasmanian Devils named Oreo and Topsy. After the tasmanian devils, we continued walking to Gum Tree Valley where we could see all the koalas. They were all sleeping and they were so cute! 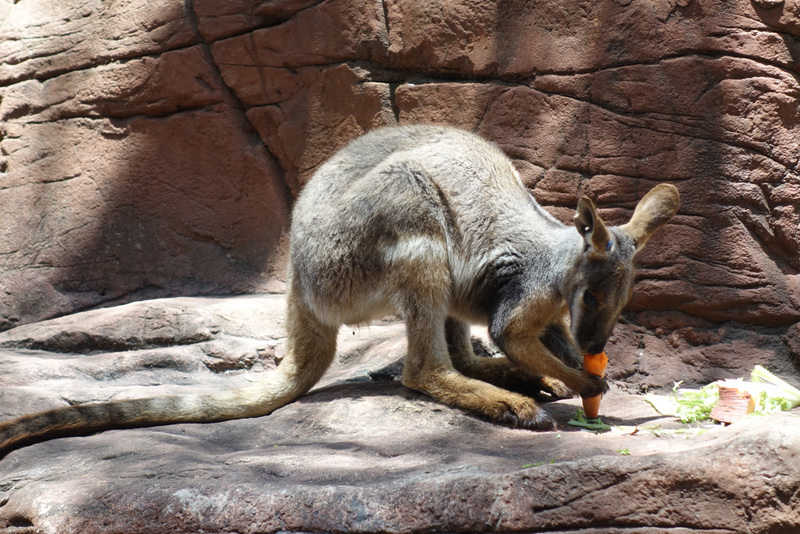 Then we went to the Wallaby Cliffs filled with Wallaby and a cute baby combat named Ringo. 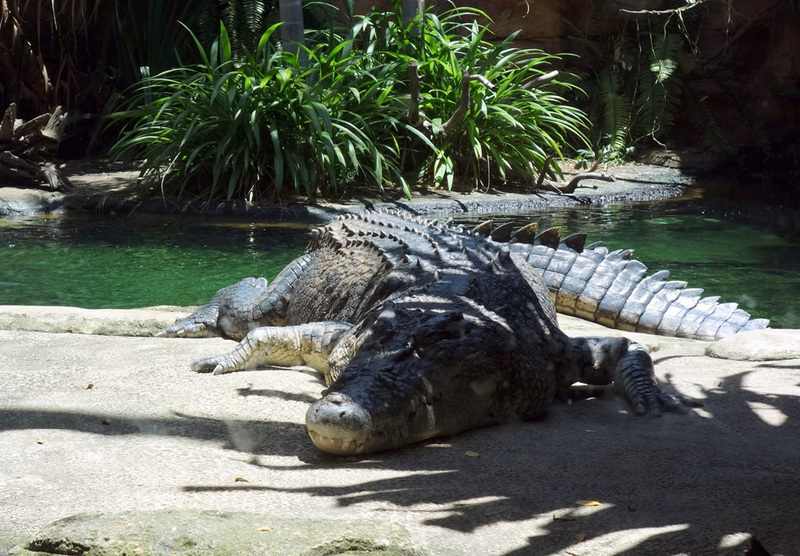 Wildlife Sydney Zoo also has a crocodile named Rex inside the area of Kakadu George. 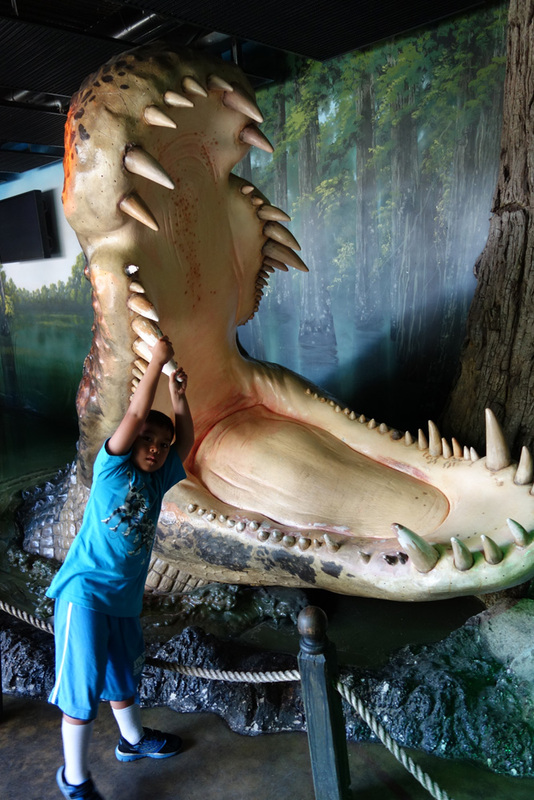 It is a 5 meter salt water crocodile, one of the biggest in the world. We took a break at the cafeteria, which also provide a close encounter with the Koala. 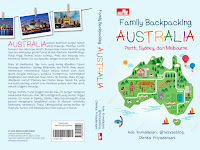 It cost AUD 20 per person, and AUD5 for any additional person. 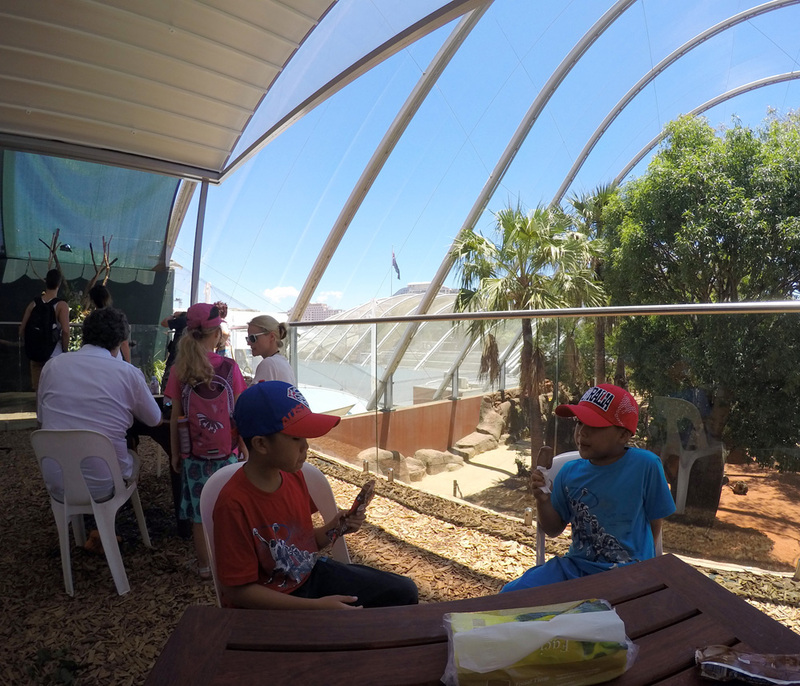 Before leaving Wildlife Sydney Zoo, we visited "Nightfall", where our Kiddos could see the real bat. 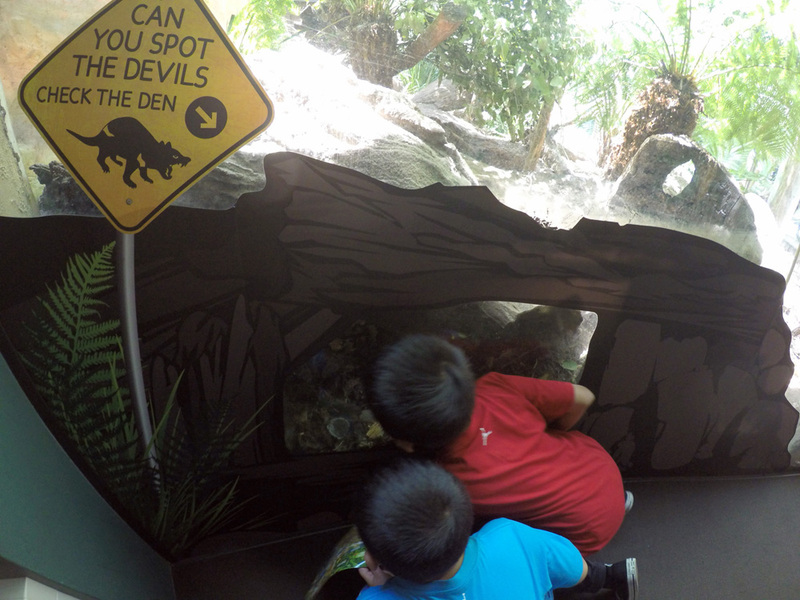 Although the size of the zoo is small, Kiddos love to see all the animals behind the glass. 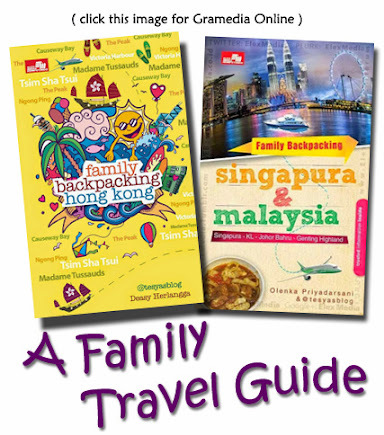 Their favorite is the huge crocodile, while my favorite is still the koala. 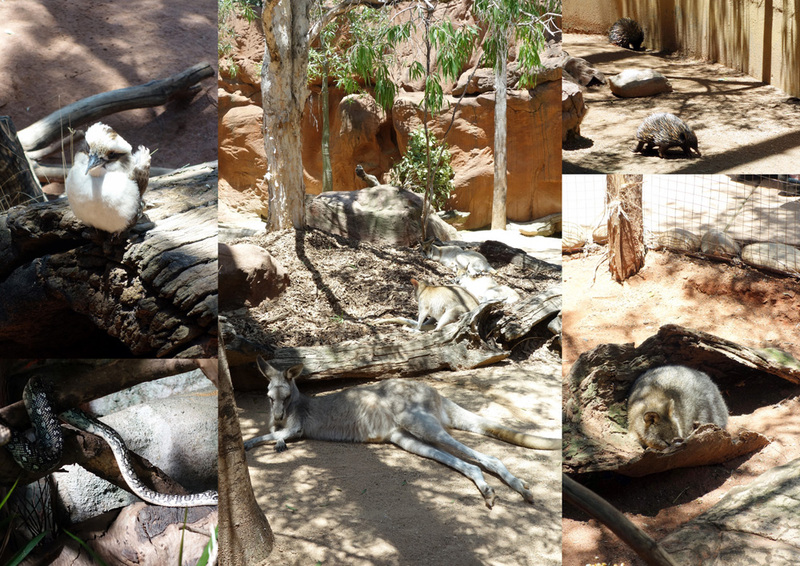 We had a great zoo day out at Wildlife Sydney Zoo. Salam kenal Arian, terimakasih sudah mampir. 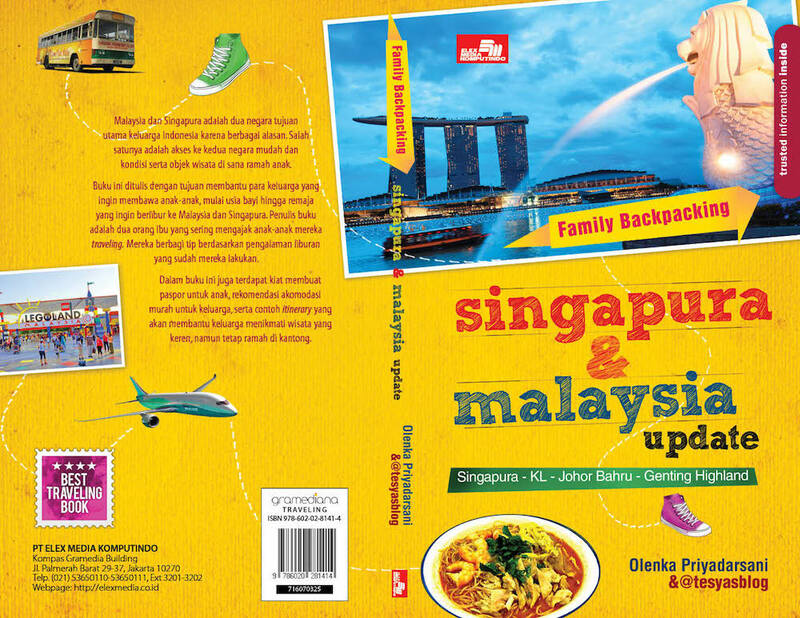 thanks mba tesya.. blognya berguna banget..